According to the recent report of Broadcast Research Council of India, Patanjali has left big brands like Fair & Lovely, Colgate and Britania far behind in showing the advertisements on the television. The difference between the first and the second position is as vast as 9000 points, which itself constitutes the total Insertions of Britania or Pond’s advertisements. The data collected for the period from 27th February 2016 to 4th March 2016, which shows great contribution by the Baba Ramdev’s brand to the Television Industry. Many people do trust Patanjali more than any foreign company, the audience which never got a chance to use the ayurvedic products instead of allopathic face creams is loving the same. 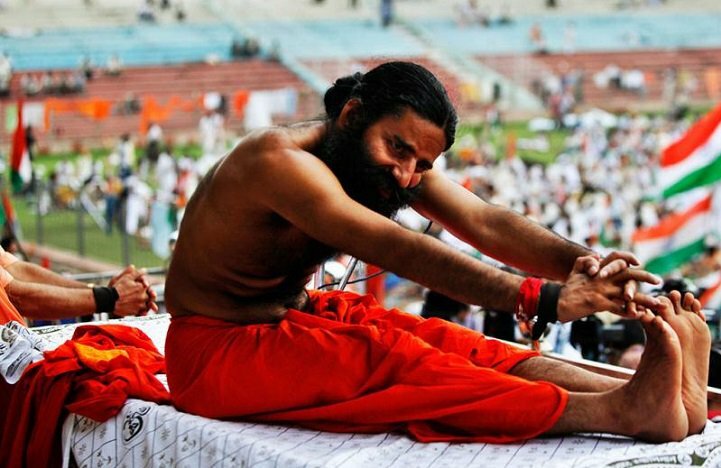 Baba Ramdev holds a trust factor in the Indian market. The response from the advertisements was definitely great which is the main reason of company’s standing against the mainstream products. While other brands have a long procedure of selecting the advertisement slots and giving the final approval, Patanjali has too much leverage system. Earlier ‘Divya Jyoti’ named brand was popular to provide such ayurvedic medicines, but as soon as Ramdev expanded his kingdom, his shops can be seen on every second street. Patanjali’s marketing technique is quite clear than the others. Initially, the brand gave offers to take franchisee of the brand to open their shops at very low bottom prices. That created a round of buzz around the consumers. Ramdev’s words seem to be the stone line in Indian Society. That have an adamant reason, during the past decade, he gave life-saving advises to many people and saved the national asset ‘Yoga’ importance in one ordinary Indian’s life with Hindu Mythology channel ‘Astha’. Having great success with “Astha” his ads directly targets the customers who deprived of side effects after using a particular thing. This lead a great response from Television audience. Great report. Congratulations for giving the truth !